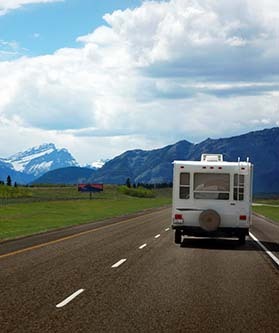 Want an affordable RV that's easy to tow? 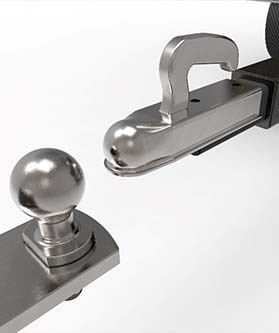 Consider a lightweight travel trailer, 5th wheel, or camper. 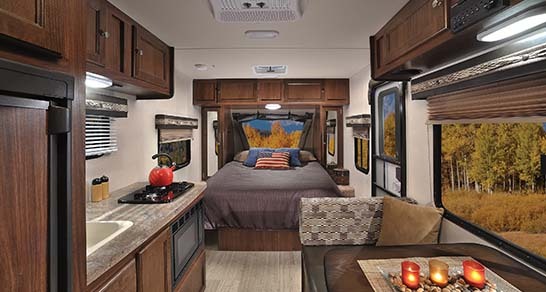 Lightweight RVs offer many of the features and comfort of larger RVs, but with less weight to tow and a lower price. What is a Mini Travel Trailer? A mini travel trailer is an excellent option for RVers who want a small RV that's affordable, easy to tow, and is easy to maintain. 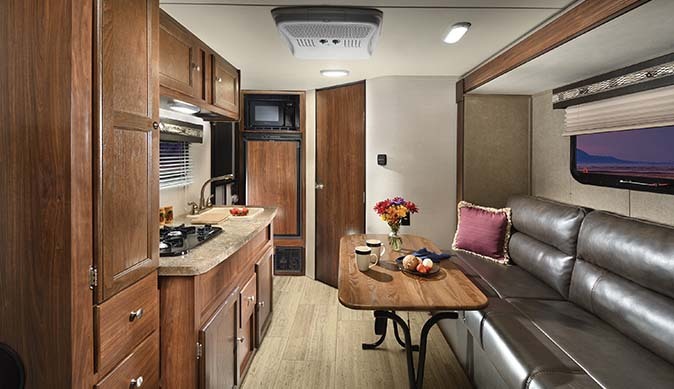 Minis offer flexible floor plans that offer more comfort and amenities than you might expect in a mini trailer. 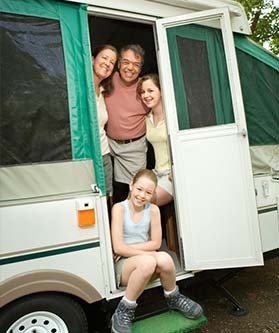 Mini trailers are great for families, couples, and adventurers who love to camp, but want more convenience and comfort than a tent. Minis allow you the freedom to travel with the necessities of home. Shop our online selection of mini travel trailers at your convenience or visit our dealership to see your favorite models in person.